So my Samsung Note 3 broke and I haven’t put a post out for 2 or 3 months. I was using the Note to take my pictures. None of my phones or the cameras on them have been very good. I used an old backup phone my iPhone 4. Reception seems really off and the pictures come off really yellow. The camera is horrible compared to what is out now or just a couple years ago. Anyway, bought a old phone off a buddy. A Verizon Samsung S4 which is better but is not the same carrier(T-Mobile) which is causing weird issues. I can’t get rid of the Verizon bloatware, the battery which was swelling has since been replaced. But that is pretty much why you haven’t seen any new stuff up here in a while. the plan was to get the rest of my stuff up, but no go. Now that I have the new battery it seems to be working better, so I am trying out the S4 camera to run a new post tonight! My last 2 posts were just new edits of old posts. I may do a few more of those if I run into issue. So here is crossing my fingers hoping this work. 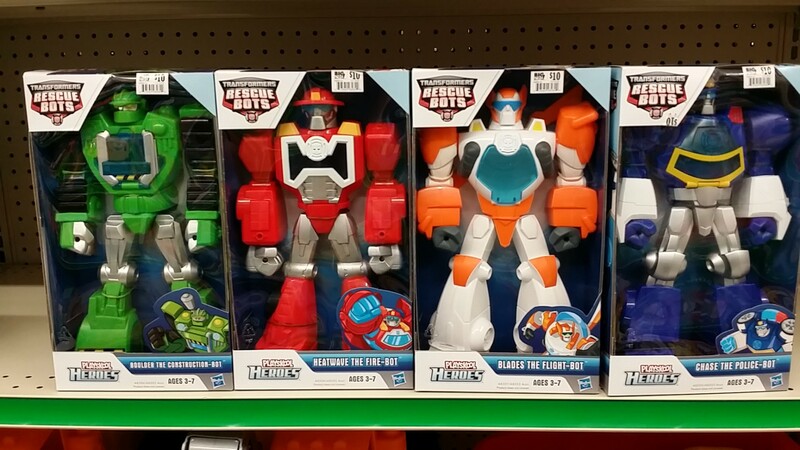 Looks like a new set of Transformers is available online. 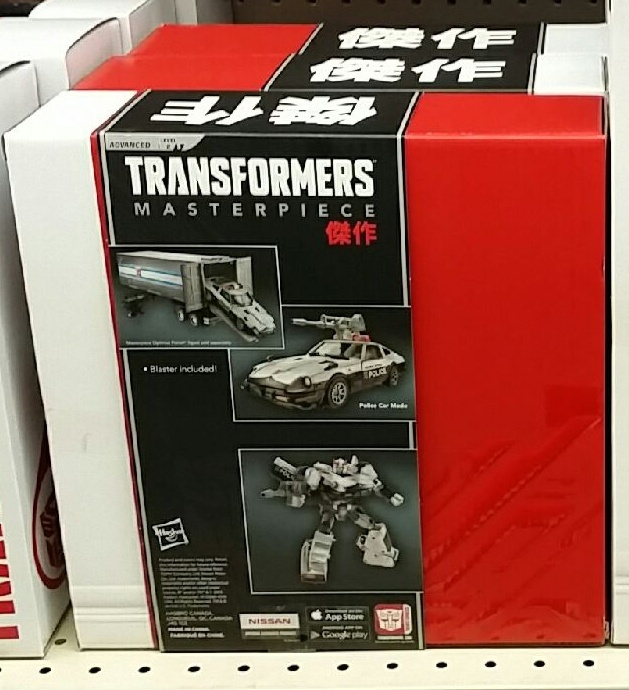 The Transformers Generations Combiner Wars Superion Collection Pack I found on the sites for Target, Toys R’ Us, K Mart, Walmart, you name it. 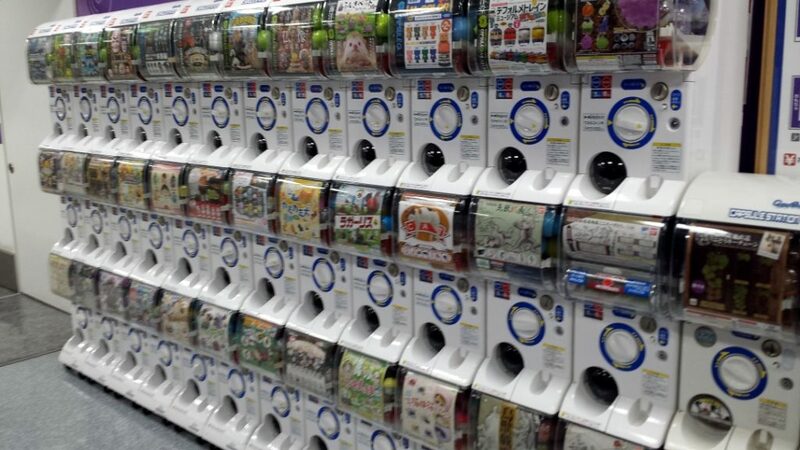 I haven’t seen it at any stores, but it looks pretty cool. Based on what I have read, they are sporting the Generation 2 colors. I will put up some pictures once I see it in the stores. 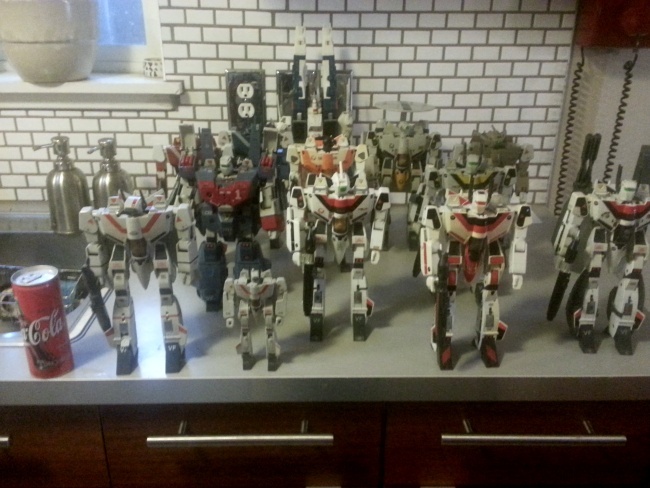 Its nice you can pick up the whole set of Aerialbots in one fell swoop. 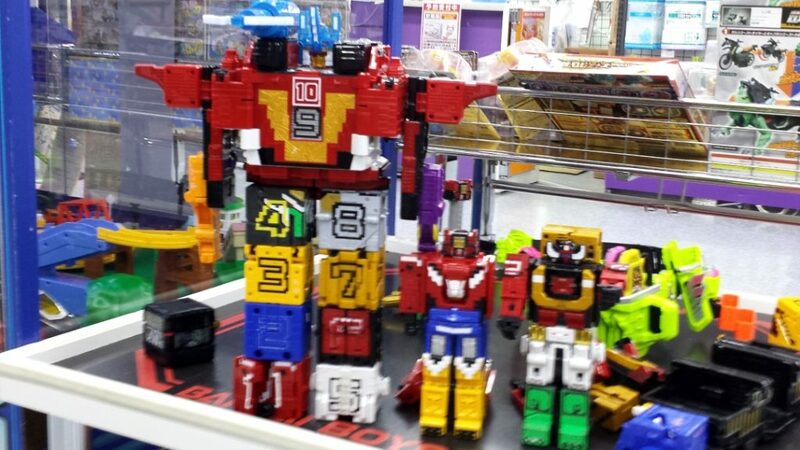 Based on the pictures, it looks pretty badass combined but ok as individual robots. I never thought I would be saying this. 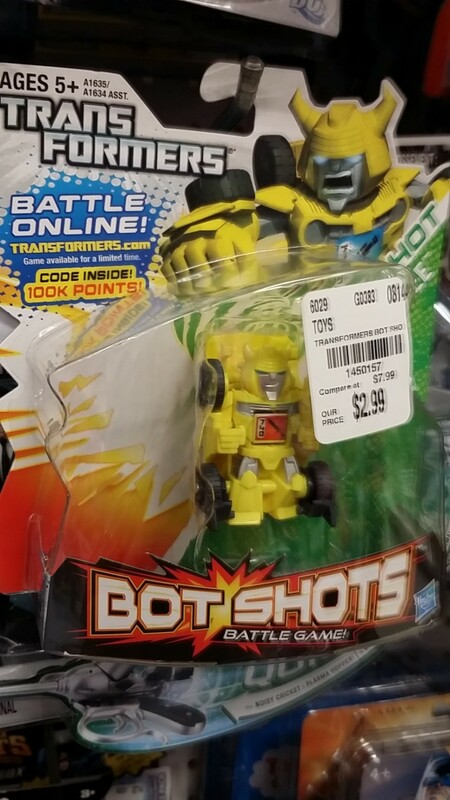 But the Transformers Platinum Edition Insecticons Figure 3-Pack is a K-Mart exclusive. I have seen Walmart and Target, but K-Mart is a new one on me. Go figure. Anyway it is a nice looking set. To bad the price is way outta whack. Who wants to pay $89.99 for this at Toys R’ Us or the $67.99 sale at K-Mart? Still it is fun to see. The 25th anniversary edition was $35 from what I hear and that pricing makes more sense. 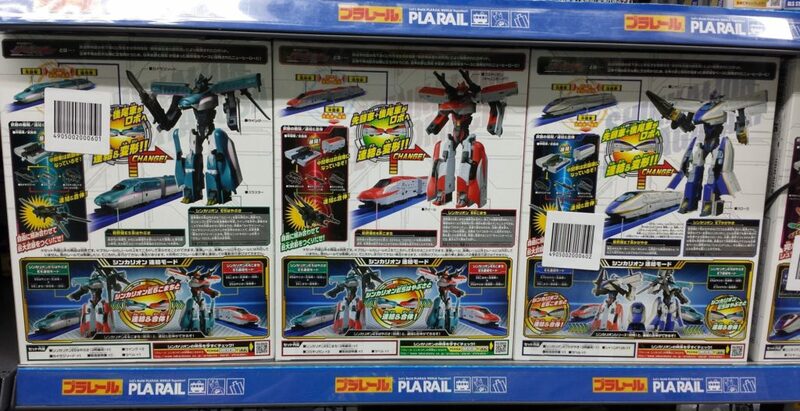 I saw this set on the box of my Transformers Platinum Edition Seeker Squadron 3-Pack. I was so excited I ran a quick search and found out where to find these. Anyway, looks like you can find these at K-Mart if there are any still in business around you or you can pick it up on their site. 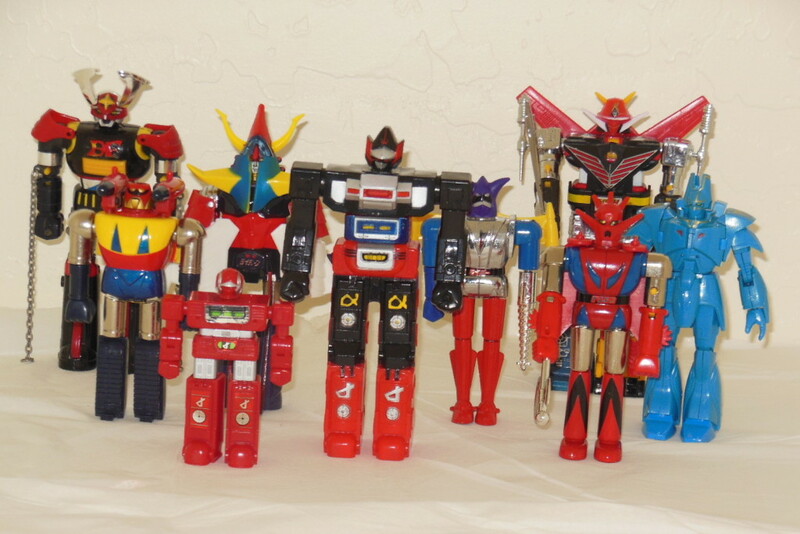 Ok so I know I haven’t posted anything in a while and I still have plenty of robots to post. 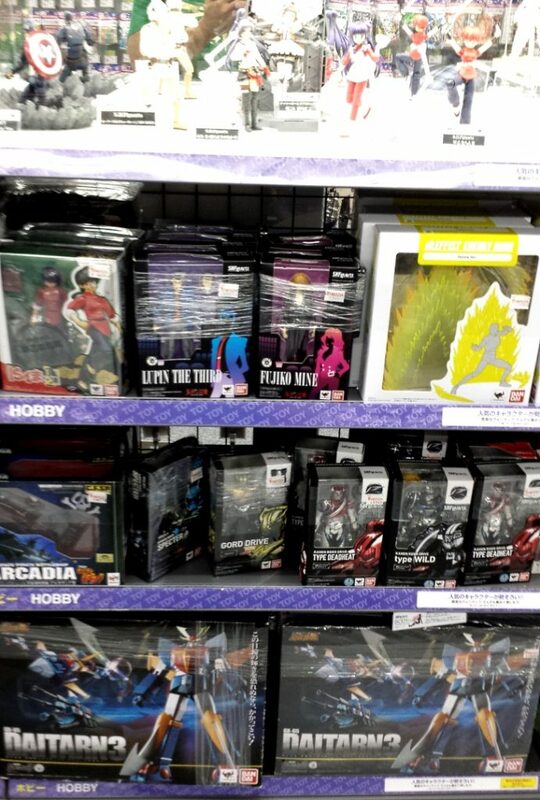 But I have found some pretty cool new exclusives from Toys R’ Us you should check out. 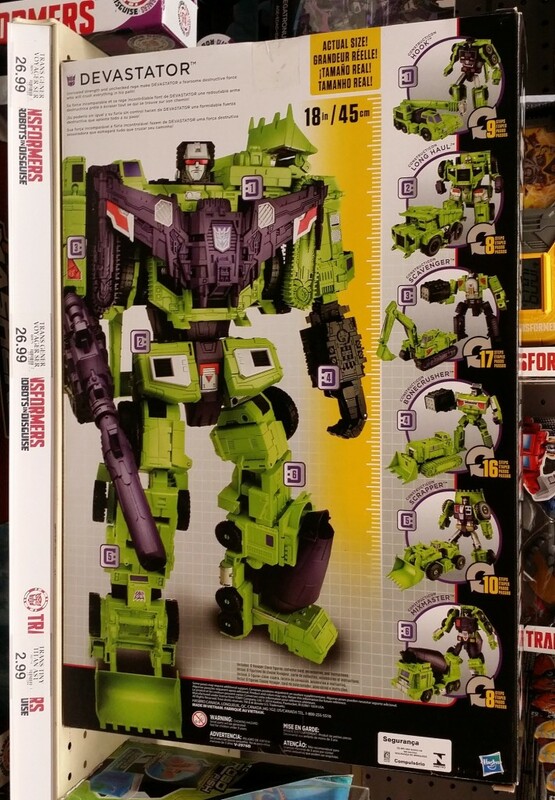 They have a huge 18 inch Transformers Generations Combiner Wars Devastator which just looks amazing! I only had a few of the original robots from the Devastator set, but if I was going to get one now that would be the one. The only issue I have with it is the price $169.99(its cheaper at Walmart for $143). It looks a lot better than the original one in the 80’s so I might just give in and pick it up. 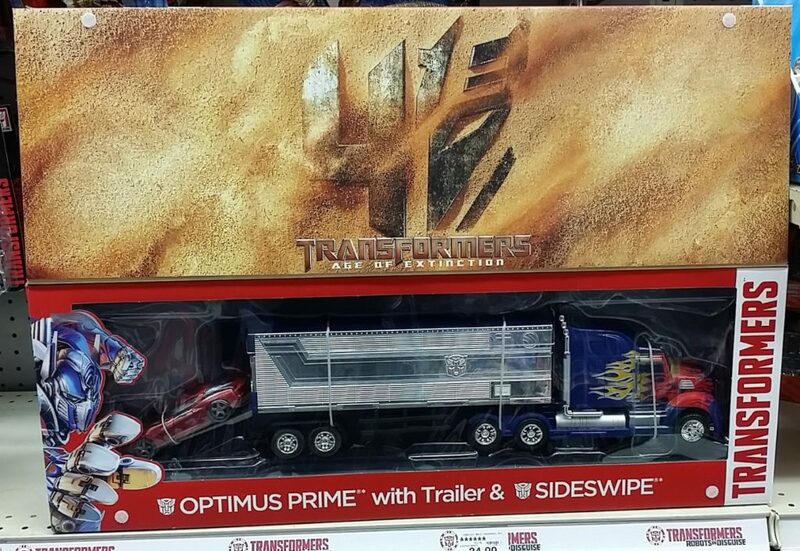 They also have a Transformers Platinum Edition Optimus Prime Figure and Transformers Platinum Edition Soundwave Figure. 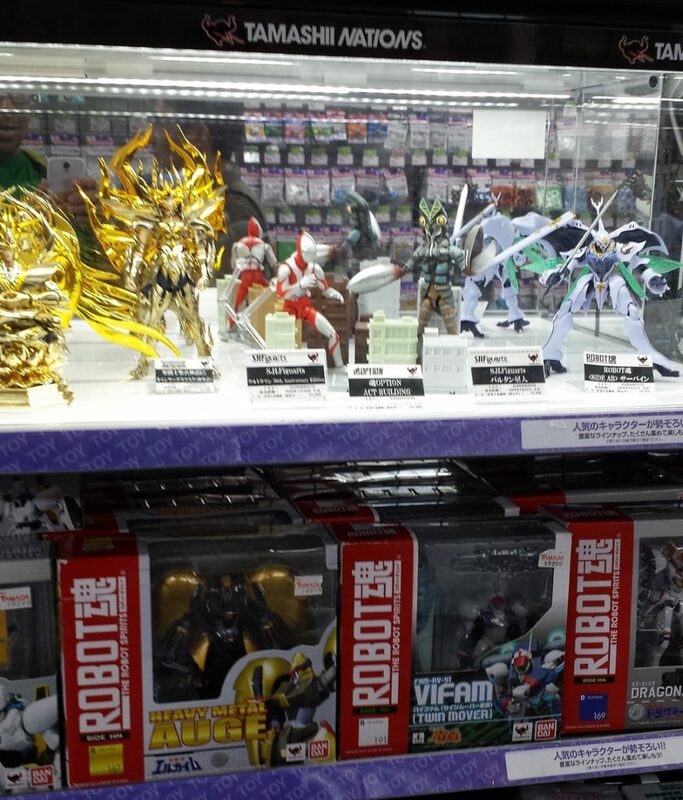 I don’t really care for these as I do not really like clear plastic figures. These are two matching clear figures if you like the whole translucent look. I am not a fan. 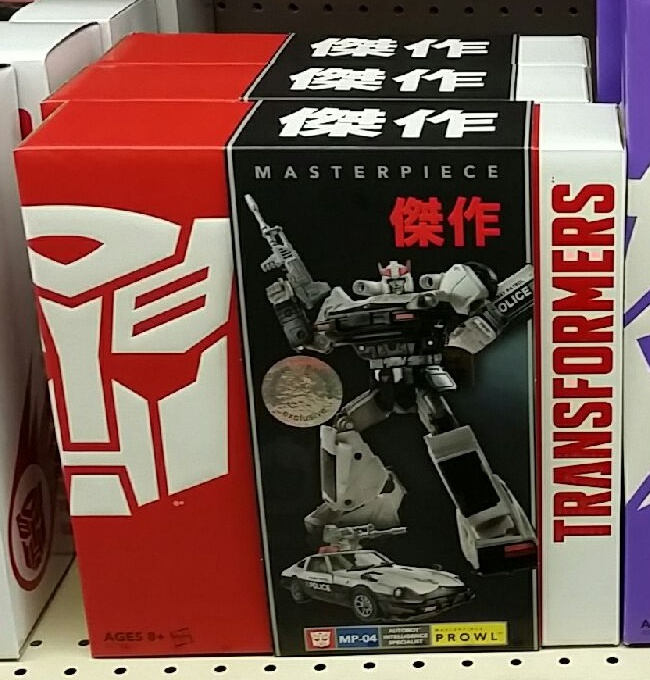 The only thing really exciting about these are the accessories: Decepticon Frenzy figure, Buzzsaw figure, Laserbeak figure, Ravage figure, Decepticon Rumble figure, 2 Quake Hammers, Megatron mini-figure. 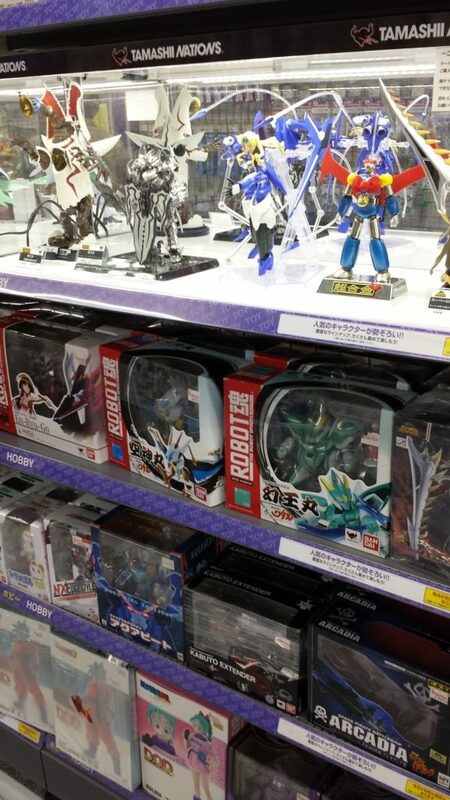 There are a couple of Masterpiece figures. The Transformers Masterpiece Bluestreak Figure is pretty sharp. I am considering picking that up. But a pre-order for Transformers Masterpiece Starscream Figure coming out in October is what I am really waiting for(Sorry it sold out on the site and stores! I never got one, but I did get the Bluestreak). 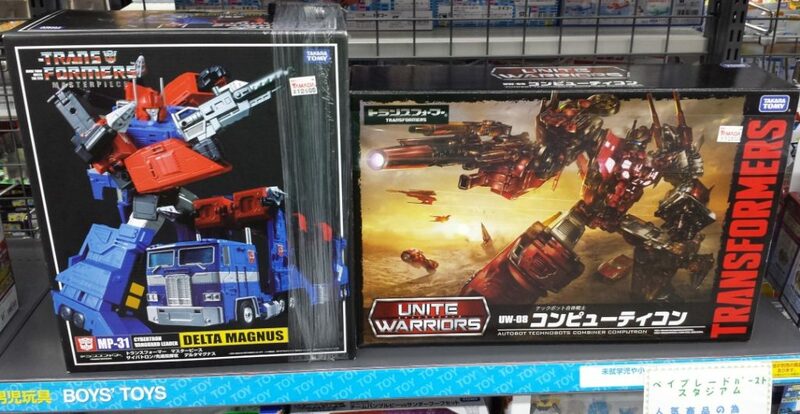 I do not have any pictures of these as I have not seen them at the store, but I hope to see them soon! 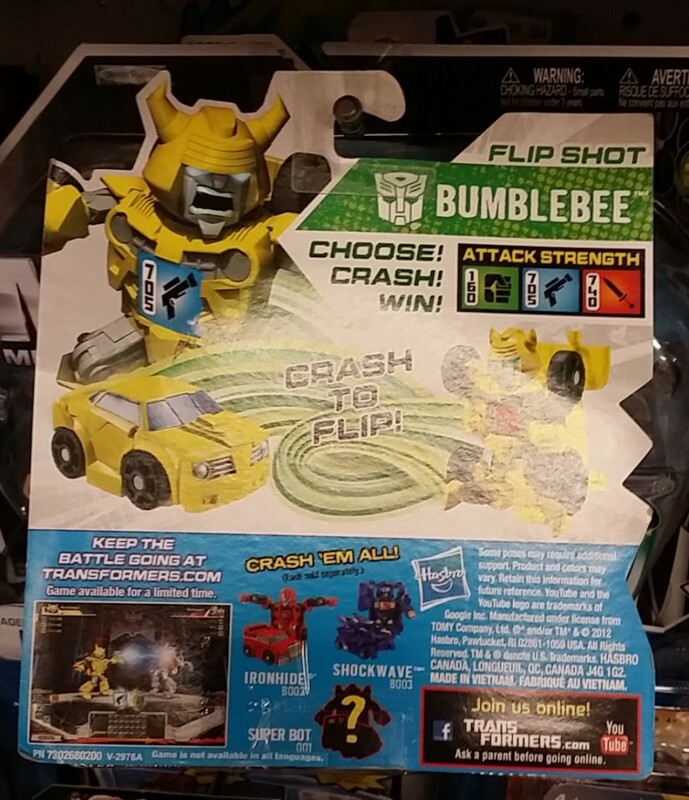 Found Platinum Prime was still at Toys R Us June 2016. Guess its not that popular or just too expensive. So I added a few pictures without the security clip on the box and now you can see the toy itself in the picture above. So after a year and 4 months, many robots, and 245 posts later, we finally made it to 10,000 page views! Still trying to make it to 10,000 visitors. So lately I have just been writing about anime I have been watching on Netflix. I really meant to concentrate on robot anime. But I let my binge watching take me in different directions after finishing Gurren Lagann, like Kill la Kill, Sword Art Online and Death Note. I will start digging for more robot anime and putting out some robot posts, soon. I think I was just tired of editing photos. So now that I have had a break back to robots!